• God's Word is true; God does not lie. • The historical record of the Bible is confirmed often by historical, archaeological, and scientific support. • God's sovereignty is demonstrated in history as He fulfills His purposes through people and events…. • The Bible presents real history, showing the unfolding plan of God to redeem a people for Himself…. • Many accounts in the Old Testament connect to the New Testament and point to Jesus and the gospel message…. • Students and adults must be equipped with answers to question skeptics ask…. • God's Word is applicable today…. • Believers are called to walk in obedience to God's Word (Teacher Introduction, p. 2). A briefer summary of ABC's distinctives might be that it stresses the importance and literal accuracy of the book of Genesis including a young-earth perspective. It also has a stronger “apologetics” flavor than do many other programs. Realizing how important it is that the entire family learn and discuss together, the ABC leads students through study of basic Biblical principles in three-year cycles, using the entire Bible from Genesis through Revelation (although not covering every book). Courses are presented for seven different age levels from preschool through adult, so every member of the family should be covering the same topic at the same time at an appropriate level. Most levels target a span of two grade levels, although high school and adult levels obviously have more than three years. (You could cycle through junior high level for grades 7-9 then use high school level for grades 10-12.) The same set of posters is used for grades 1-6 and a similar set is used for junior high through adult levels. It seems to me that after completing the first three-year cycle with children in the elementary grades, you could take them through the next level cycle for another three years, repeating the topics. However, older children and adults might not welcome that sort of repetition. But you need not be concerned about that issue for at least three years, and perhaps ABC will have expanded the program by that time. The program is designed for Sunday school classroom use. The Full Teacher Kit comes in a boxed set for each level and can be purchased for one quarter of the year at a time or for the entire year (full year rather than only the school year). 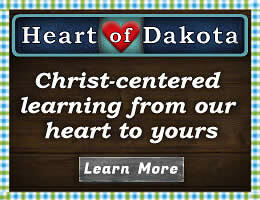 Each teacher kit includes one set of take home sheets that could be used by a homeschool family with only one student. However, extra sets of take home sheets are available. The cost for this arrangement makes more sense for class groups than for homeschoolers since it ends up over $130 a year for one level for one student, while any additional students at the same level are only $4.99 each. 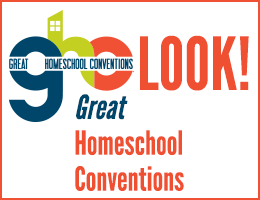 Homeschoolers could easily stretch levels to include children older or younger than the target grade levels in most situations, so you might not need more than one or two levels. I received the first quarter set for grades 3-4 for review, so the rest of my comments are based on that set. The Full Teacher Kit includes an individual, 12-page teacher manual for each of thirteen lessons plus an introductory booklet. Teacher manuals are very well laid out. The first page lists the key themes, key Scripture passages, objectives and an outline/table of contents. The second page has a chart showing “what you will do” and “what you will need” plus the memory verse for the week. The next few pages provide the teacher with Scriptural, apologetics, and historical background information as well as a prayer. Additional background information is sometimes available in the free online resources at the ABC website. The remaining pages in each teacher manual walk you through the lesson step by step as students study Scripture and learn practical applications. Lessons are very interactive with much discussion lead by the teacher. Two of the thirteen lessons review the last six or seven lessons, primarily through games and interaction. Lessons are scripted with suggested responses immediately following. The script also directs the teacher in the use of posters and student worksheets with explicit directions each step of the way. Worksheets are printed from a DVD-ROM that comes with the teacher manuals. The DVD-ROM includes PDF student pages (worksheets, puzzles, games, and skit scripts) that are used during class time as well as maps, teaching mini-posters and printable manipulatives, images, video clips (for grades 5-6 and above), and other teaching resources you need to use. Some of the teaching resources need to be printed on card stock and cut out in advance. Four-page, full-color take home sheets reinforce the lessons and help students work on the weekly memory verse. While students can complete much of this on their own, at least one section requires family discussion. Full-color posters are used throughout the program; they are not just wall decorations. Teachers frequently refer to the posters as they teach each lesson. Six posters are 17' x 22”. A set of 11 smaller 8.5” x 11” posters is used in conjunction with the larger posters. All of these need not be up at the same time, but you will need space to mount the posters for your lessons, at least temporarily. Some lesson preparation time is required; this is not a “pick-up-and-go” program. However, the detailed lesson plans make it easy for the inexperienced teacher or parent to present the lessons. The format of the lessons is likely to work well in Sunday school classes, but it might be problematic for homeschoolers. Skits and games assume a group of children for interaction. Few homeschooling families have enough children close in ages and abilities to use the complete lessons as written. Most homeschoolers will need to adapt activities for use with one or a few children, and this will not always be practical. 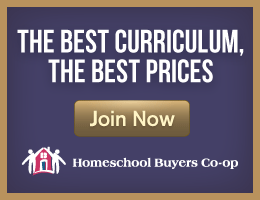 Even if ABC isn't the most practical homeschool Bible curriculum, it does seem like a great option for group classes whether that be homeschool co-op type groups or more traditional Sunday school settings.